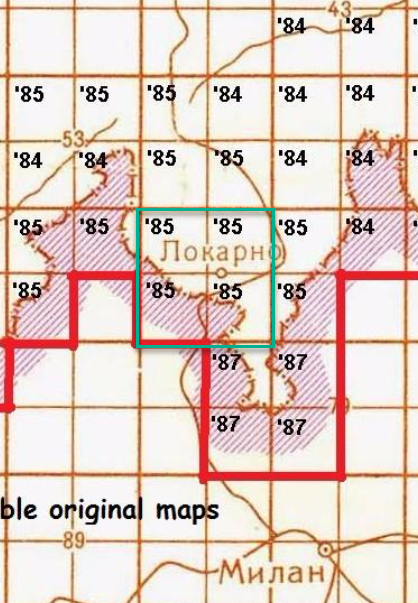 The most striking feature of Soviet General Military Staff maps for a Western European person is that all places and rivers are written in Cyrillic letters. It isn't surprising that familiar appellations look suddenly so different on Soviet maps. Many designations, especially those related to Swiss German locations, were transliterated phonetically in Russian, allowing thus an easy pronunciation to a Russian native speaker. As a matter of fact, reading and understanding a Soviet map requires some exercise, and it becomes much easier if you have some basic padronance of the cyrillic alphabet. For example, Ascona was written on Soviet maps as "ACKOHA". There was an exceptional specification of topographic symbols related to industrial and military assets. Bridges had also a very specific mention indicating which specific military tank could pass over a bridge. IH has recently acquired two Soviet maps edited by "Voenno-topograficheskoe upravlenie General'nogo shtaba" (in English: General Military Staff); both maps are in Gauss Kruger Projection. 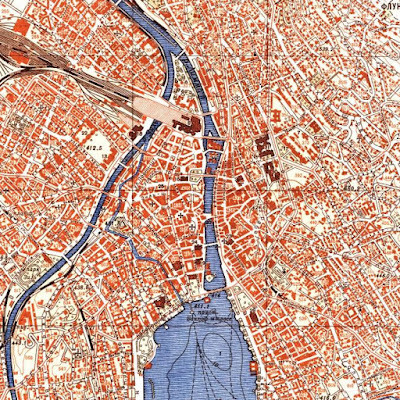 The first map is on a 1:500'000 scale with the reference L32-A, entitled in Cyrillic Bern. There are five maps which cover partially Switzerland, thus the most central is L32-A which however doesn't show the eastern part of Switzerland. The contours on the map are placed at 50 meters intervals. A large amount of details can be observed related to roads, railways (even the one going in the Valle Maggia which had been dismantled since 1920 canals, lakes, airports, airfields and etc. Transcriptions of the towns are written in different sizes related to the amount of respective inhabitants. The second set of maps in our possession is on a 1:50'000 scale map, L-32-66-4 Lugano and L-32-66-2 Locarno, the size of 1:1, with the dimensions 42 x 45 cm. There are at least 157 maps on a 1:50'000 scale covering Switzerland and bordering regions, all indexed under series L-32. It is hard to discern which kind of sources the Soviets used in drawing these maps. 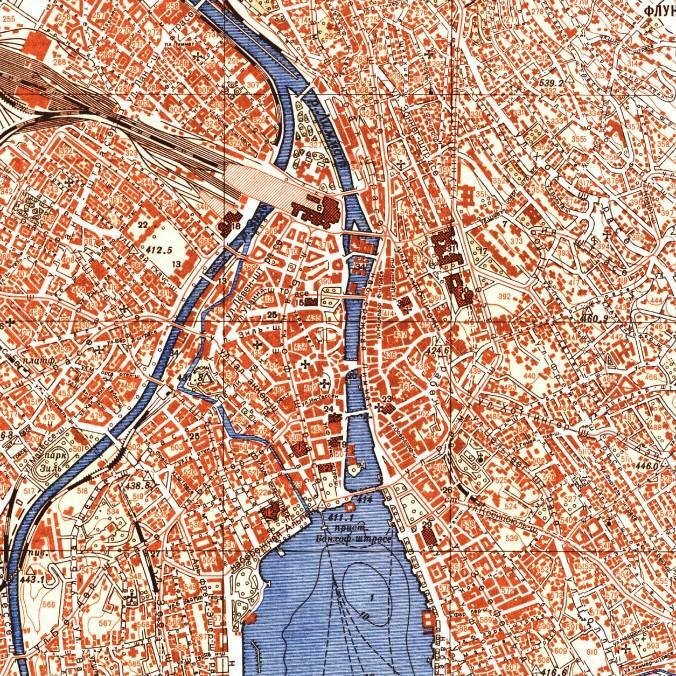 The map "Bern" on a 1:500'000 scale is dated 1976, and despite this fact, it had already some major flaws that would not have been discovered with a simple field inspection or a plagiarism :( of a Swiss made map. The final results leave some room for doubts whether Soviets were ready to a potential invasion of Switzerland using these maps. In any case, the Soviet maps are a piece of history of the world torn apart by the Cold War, and for IH, they still contribute to our beautiful collection of historical maps.